I love this picture of Molly and the two pumpkins taken way back in the mid to late 1980's. In fact, I may have used it on an earlier Halloween post but I think it warrants a repeat. She and grandpa carved the pumpkins on a beautiful day in Chillicothe, Illinois. It's not such a pretty day here in Michigan!! Rainy, windy, dank--even saw a few snow flurries earlier and they are forecast to be mixed with rain this afternoon! 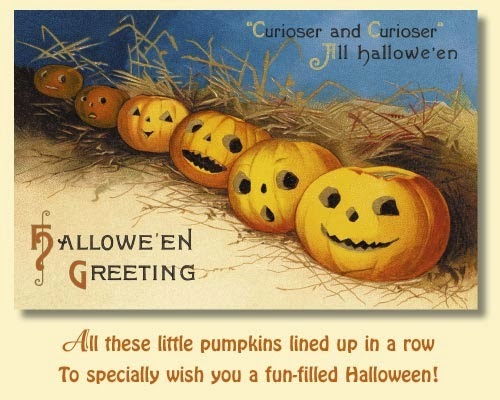 A shame for all the little ones who love going door to door in their cute little costumes to trick or treat! I sent a couple of little boxes to my little greatgrandbabies in Denver and Oregon and they got there when they were supposed to. 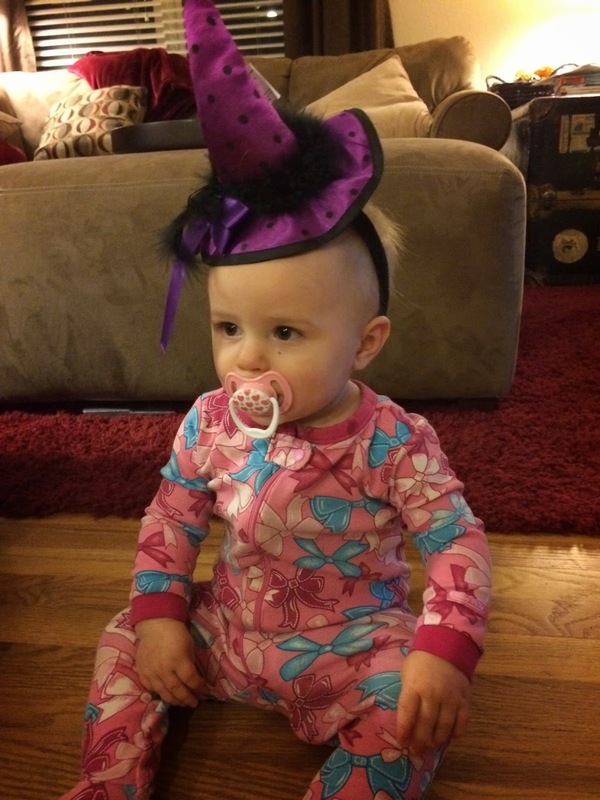 Here is Lauren in her little witch's hat that I sent--very cute! Her mommy said the picture reminded her of some of the old fashioned ladies looking very stoic in their photos or paintings. I'm sure there will be some other pictures of the little spooks to post later on.